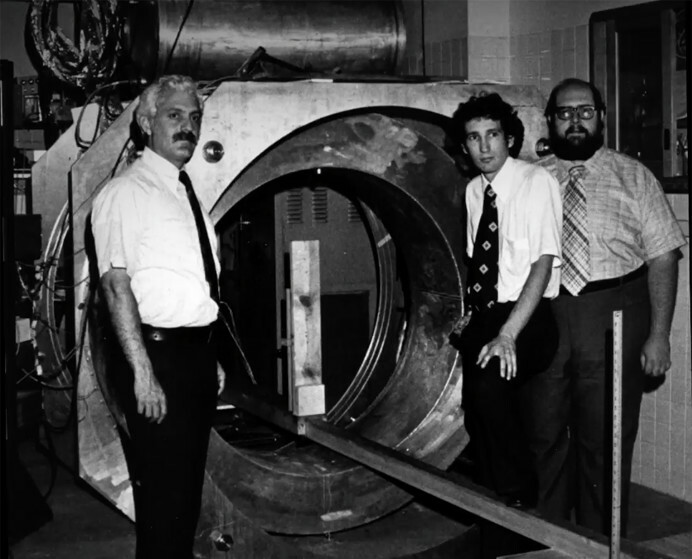 * Raymond Damadian on RSR: Real Science Radio co-host Bob Enyart interviews Raymond, inventor of the MRI magnetic resonance imaging device. If you love learning about the history of scientific discovery, inventions, and absolute truth, you will absolutely LOVE listening to today’s program! A year ago Bob logged onto Wikipedia to edit the entry on the MRI after noticing that the events listed in the History section of that article were out of chronological order. After making a minor change, moving the sentence about Dr. Damadian earlier in the section to where it belonged chronologically, Bob noticed that the heavy-handed Darwinist editors at Wikipedia, obviously seeking to diminish the contribution of young-earth creationist Damadian, reversed Bob’s correct and to the day of our interview, they insist on presenting the History of the MRI out of chronological order. Selah. 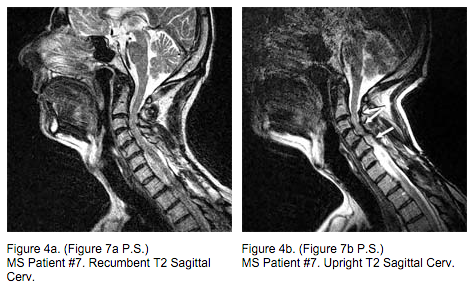 * Upright MRI: Dr. Damadian explains the benefits of the Upright MRI. This technological advance help doctors treat patients with spinal column ailments, MS, and many other health challenges. Just click on the image for more information, and check out the doc's informative website at fonar.com. * rsr.org/mri: If you'd like to share today's show, feel free to use our permanent URL for this program, rsr.org/mri. And at rsr.org/mri-2 check out next week's conclusion to this interview! Thanks! * Update -- Upright MRI and MS Diagnosis and Treatment: Hear the October 7, 2016 RSR follow-up program with Damadian at rsr.org/mri-ms on his important discoveries and recommended treatment for multiple scleroris. * Update MRI Used for Basic Research: The Illustra Media video, Metamorphosis, uses MRI to explore the development of the butterfly inside the chrysalis. You'll just LOVE that DVD and you can get a copy, thanks to Illustra, Dr. Damadian, and God, at rsr.org/butterfly. * Please Support RSR: Please consider making a one-time or automatic monthly donation by clicking on the Store tab (above, which is at rsr.org) or call 1-800-8Enyart (836-9278) to help us reach our vital $30,000 goal for our February 2016 telethon to keep RSR broadcasting for another year! * Damadian Not a "Real Scientist" But an MD: Dr. Damadian and Bob Enyart discussed a couple of the objections that the scientific community had to recognizing him as the inventor of one of the greatest advances in physics in the realm of medical science. One objection is that he is a biblical (i.e., young earth) creationist. A second objection is that Raymond Damadian is not a "real" scientist but only a medial doctor. Bob pointed out a parallel instance whereby creationist will ignore the work, including astounding confirmed discoveries, of Dr. Walt Brown, PhD from MIT in mechanical engineering, because he is not a professional geologist. [After today's program, during their off-air discussion, Dr. Damadian happily agreed to receive a copy of RSR's Global Flood and Hydroplate Theory video. If you enjoy these excerpts of that educational presentation, please consider getting a Blu-ray or DVD or download of the full video!